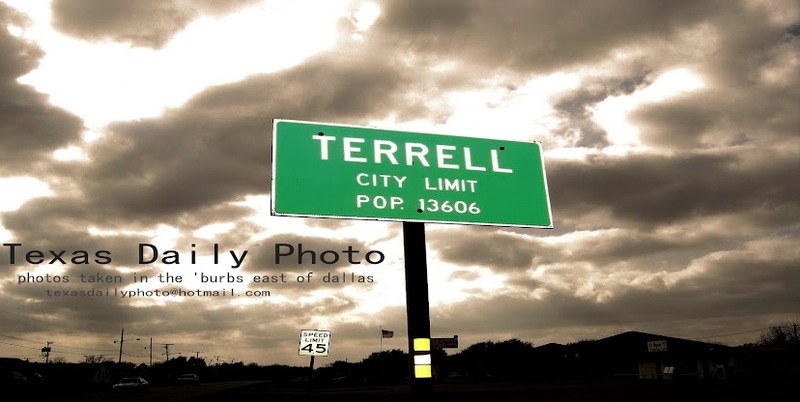 Terrell Texas Daily Photo: my box is missing! Anyone who doesn't check their post office box very often may be surprised on their next visit. 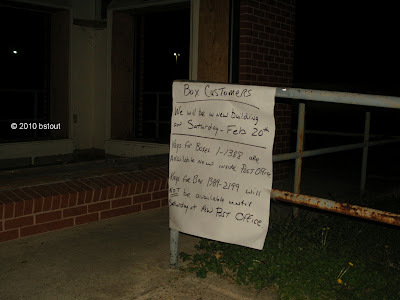 The move of the post office from North Frances street over to hwy 34 was official this past Saturday, Feb 20. While I was out walking tonight I noticed all the outside PO Boxes missing from the external building formerly housing them. The post office itself is for sale - I can't imagine what this external building could be used for now... time will tell =) and so will I when it happens! Too much time on your hands? Go Google 'Ewmew Fudd' and press 'I'm feeling lucky'.... Happy Thursday! looks like someone went postal on the place! LoL! Wow! 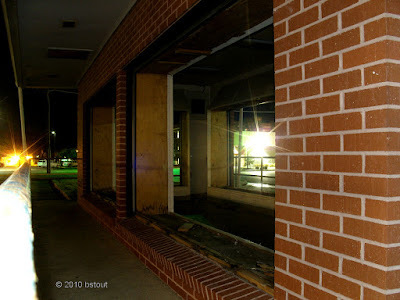 Major hole in the wall. I wonder if they sold these to someone.